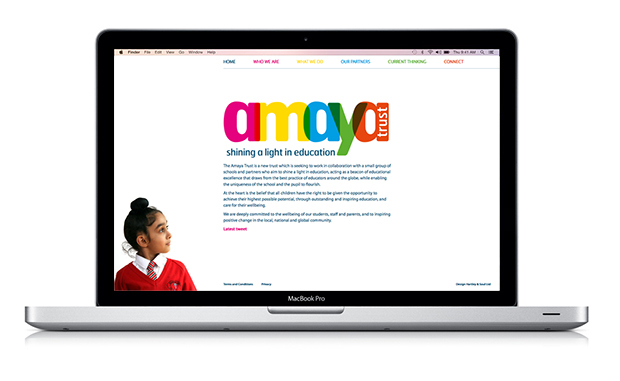 The AMAYA Trust is a new trust which is seeking to work in collaboration with a small group of schools who aim to shine a light in education, to act as a beacon of educational excellence that draws from the best practice of educators around the globe, while enabling the uniqueness of the school and the pupil to flourish. The brief to Hartley & Soul was to create a brand and website that captured inclusion, integrity and togetherness with a zest for life. The design needed to be very simple, clear and clean. 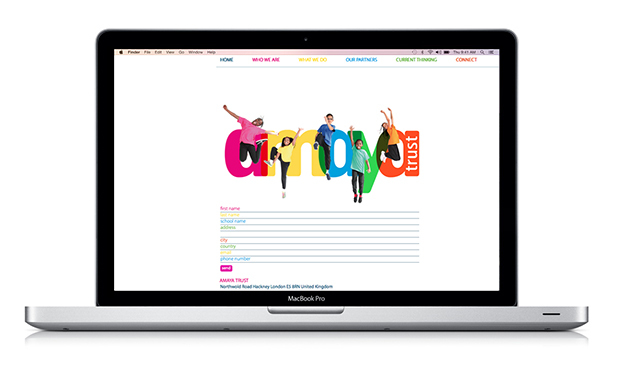 The website has a small amount of information on each page to make it easy to digest and fun to navigate.